The country in the form of a boot is a top destination for tourists from across the globe. They plan their holiday in Italy hoping to spend the best time there. However, they don’t always know the real places to go to and activities to do. 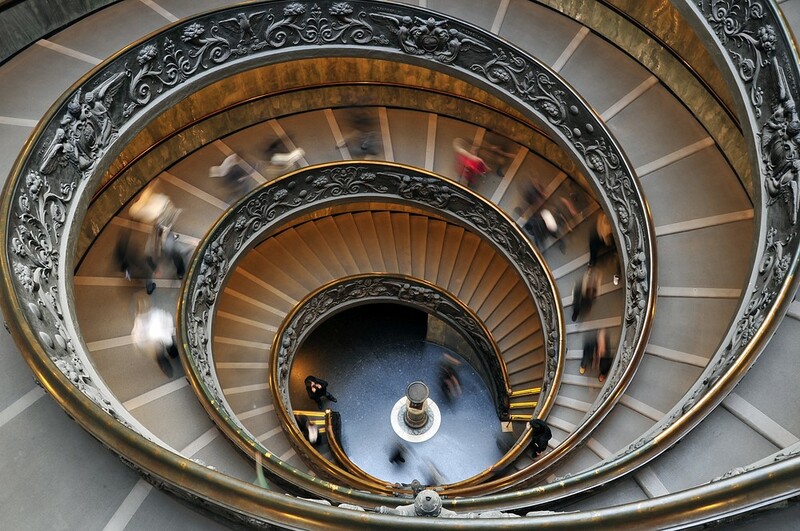 You won’t be one of them, as we’ll observe the unforgettable things you should do in Italy and never regret a moment. Italy is a country full of flavors, colors, and secrets. From the moment you set your foot on the Italian soil, you’ll feel all that energy flowing inside you. People there have style and a great taste in literally everything, which will wake feelings you thought you’ve forgotten. And the only way to experience this roller coaster of emotions is by visiting breath-taking places and doing exciting activities. Both by the water and in the middle of a huge city, you’ll encounter gems that’ll stick with you forever. Those are usually spots and things that contain Italy’s tradition and culture within. Museums, towers, vast valleys or even caves and bays, you’ll find everything you ever wished to see or try. Speaking of that, you’ll definitely taste the world’s most delicious pizza in the streets of Naples, drink unique wines from Tuscany’s grapevines and lie all day long on the beaches in Sardinia. And in terms of discovering Italy’s rich history, you’ll get the chance to walk where kings walked and relive all tragical and happy moments the locals endured in the past. To help you achieve that purpose, among the things you should do in Italy are the visits to old towns, gardens and old temples, and monuments. All in all, taking tours across this wonderful country will become the highlight of all your travels. Here are the top 15 things you should definitely do in Italy. They will surely stay with you for a long, long time. 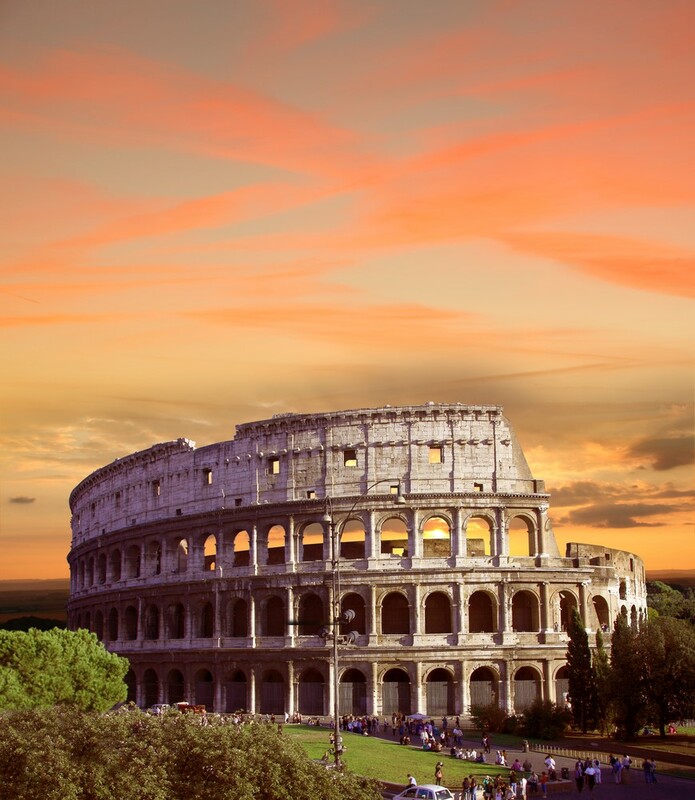 Visit the Colosseum – The most characteristic monument in Rome is, of course, the Colosseum or the Colosseo. It’s a stone amphitheater from the ancient Roman times. Today it’s a symbol of the cruelty and the magnificence of the empire. Originally, the Colosseum was a ring where gladiators fights were held. Its capacity reaches a stellar number of 50,000 spectators. Now this grandiose building is visited by more than 5 million people and you should be one as well. The tickets are also quite affordable and they absolutely justify the whole experience of the tour. See the ruins in Sicily – Naturally, the first thing that pops into your mind when Italy is mentioned is the Roman empire. However, aside from Roman ruins, you’ll be surprised to encounter Greek ruins as well. The combination of them both is enough for your jaw to drop. For instance, you can check out the Valley of the Temples, which is protected by UNESCO. 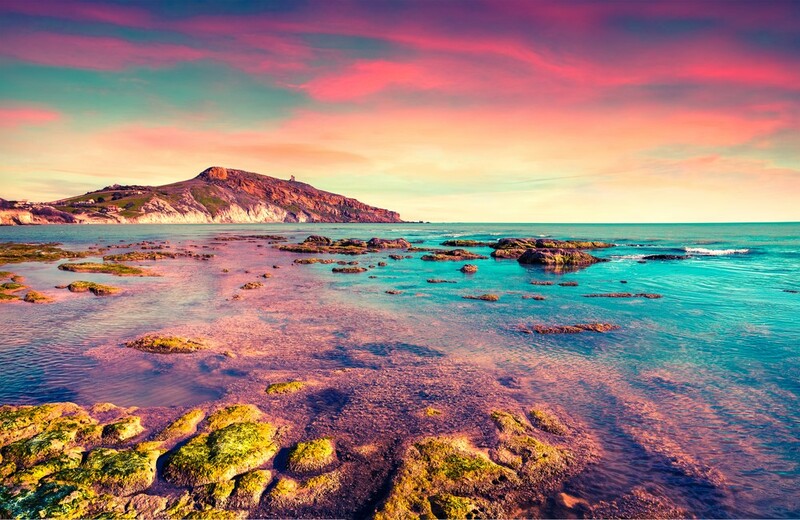 Sunbathe in Sardinia – There’re many things you should do in Italy, but few can match a wonderful, sunny day in Sardinia. Yes, you can definitely believe the hype when it comes to this island. The sand is the purest of white and the waters are the most beautiful shade of blue. Also, there are numerous hidden bays where you can kayak and have some privacy. As a sanctuary from the heat, enjoy the cold waters where you’d have the time of your life. 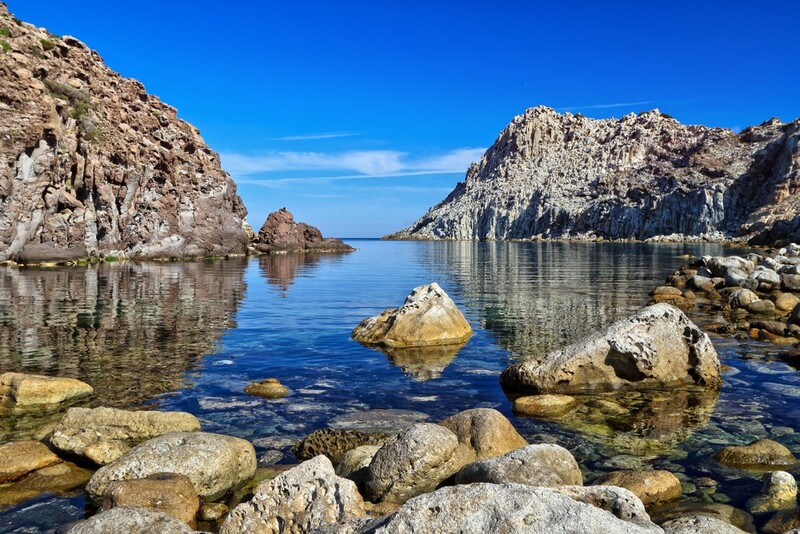 Sardinia is famous for hiking, climbing and all other sorts of outdoor adventures you can think of, too. Prepare your sun cream, because after a few days you’ll have the tan you so desire. Eat pizza in Naples – Is there a better place to eat pizza than the city where it was born? Definitely not. The traditional globally-famous pie is like nothing you’ve tasted before. 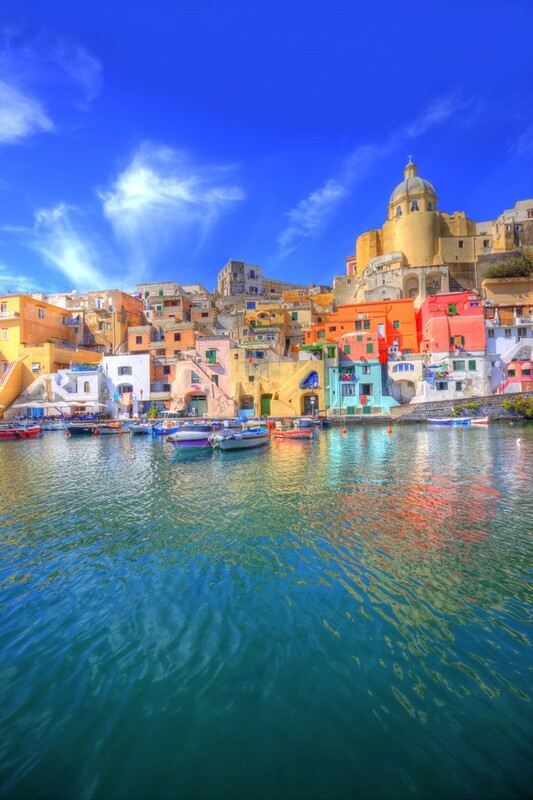 But besides the pizza, Naples (or Napoli in Italian) is also pretty well-known for other things. There you’ll find many historical sights as well as museums, palaces, castles, islands and so many other wonders. 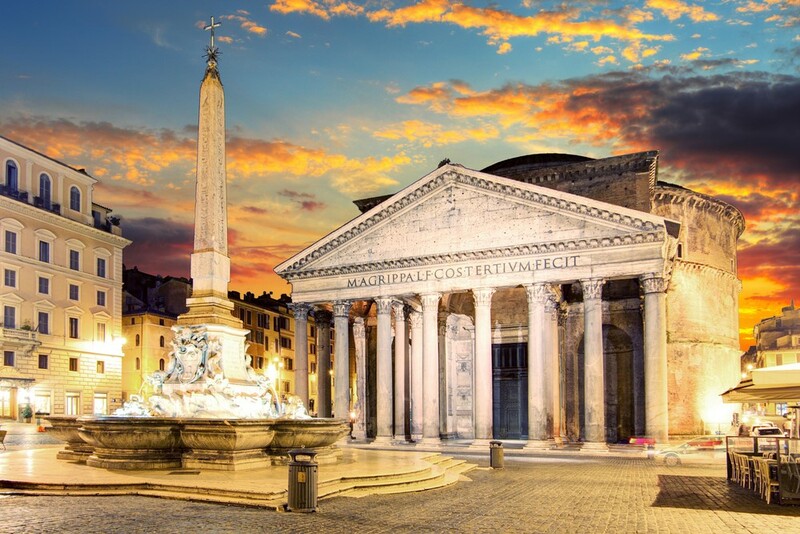 Hide in the Pantheon – Although it’s old stuff, visiting the Pantheon is one of the coolest things you should do in Italy. No matter the weather, you can always hide inside this marvelous building. Furthermore, it manages to constantly stay dry during the rainy days and cold during the summer. What’s really interesting is the Pantheon’s dome, which has a circle in the middle. It’s called the oculus or the Great Eye and through it, you can see the sky above. It’s also where the light comes through. And you can experience all of that entirely for free! 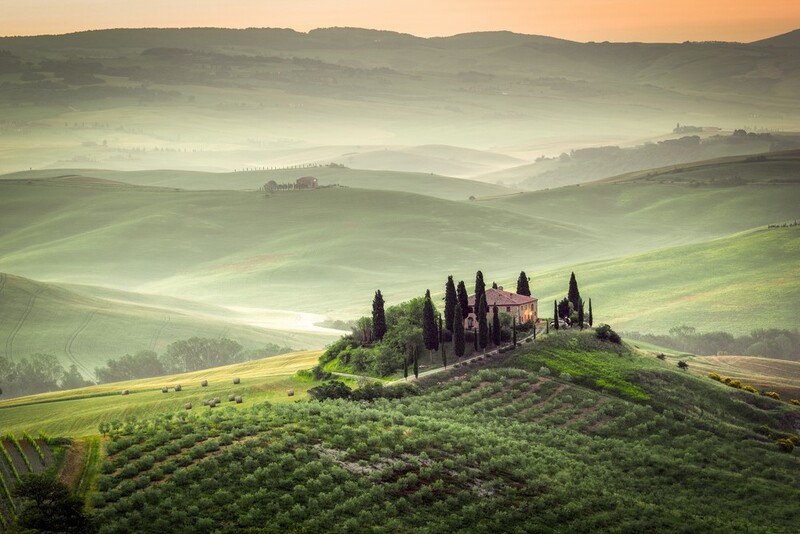 Taste Tuscany’s magnificent wine – Among other things, Tuscany is famous for the delicious wine and broad vineyards. Enveloped with mystery, the hills of Tuscany are the places where you’ll get familiar with architecture and art from the Renaissance-era. Having said that, the roads that connect these hillside towns are perfect for cruising with your car window open. It’s that splendid and picturesque! 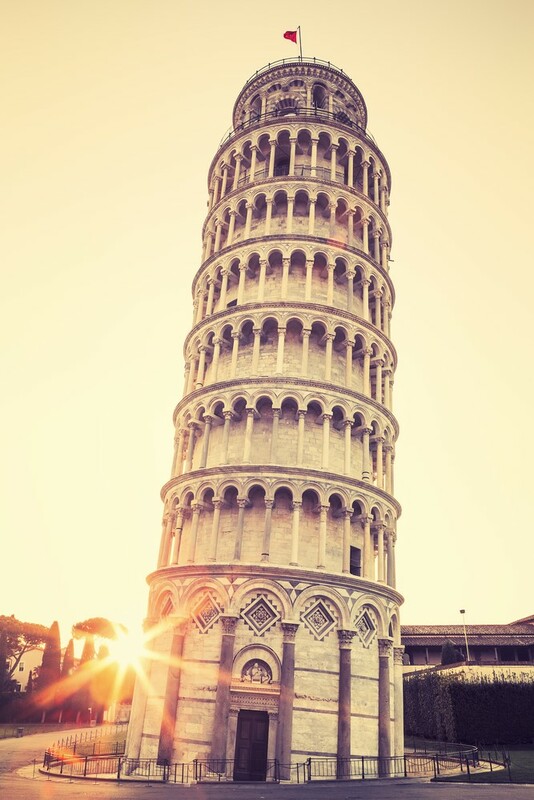 Take pictures with the Leaning Tower of Pisa – The most iconic things you should do in Italy absolutely include your trip to Pisa. You simply mustn’t return home without a picture of you and the famous Leaning Tower. A mistake at first, the 183-feet tall tower remains one of Italy’s most popular monuments. A true proof of the greatness of the Romanesque style, the Tower of Pisa is a hit with tourists. Sadly, it’s still sinking even today, but you shouldn’t worry that it will collapse. It’s far from that and plus it’s supervised all the time by experts. Admire the Giusti Garden in Verona – Italy has a plethora of mind-blowing flora and gardens, but few can compare to Verona’s Giusti Garden. 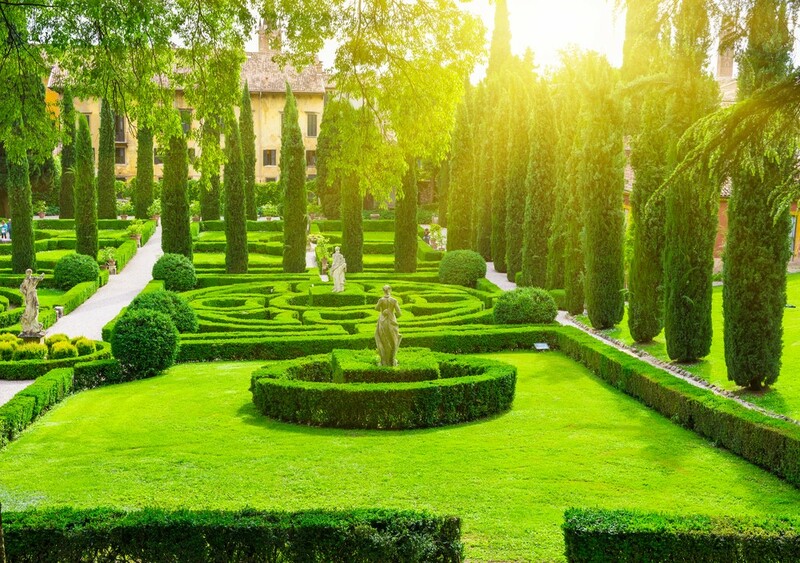 Located in the east of this romantic city, the Giusti Palace and Garden are considered a real masterpiece with all of the terraces and green labyrinths. The local legend says that if two people in love manage to find themselves in the maze, they are destined to be together. Moreover, the belvedere that is found in the back of the gardens, offers a spectacular view of the whole city that will surely catch you by surprise. 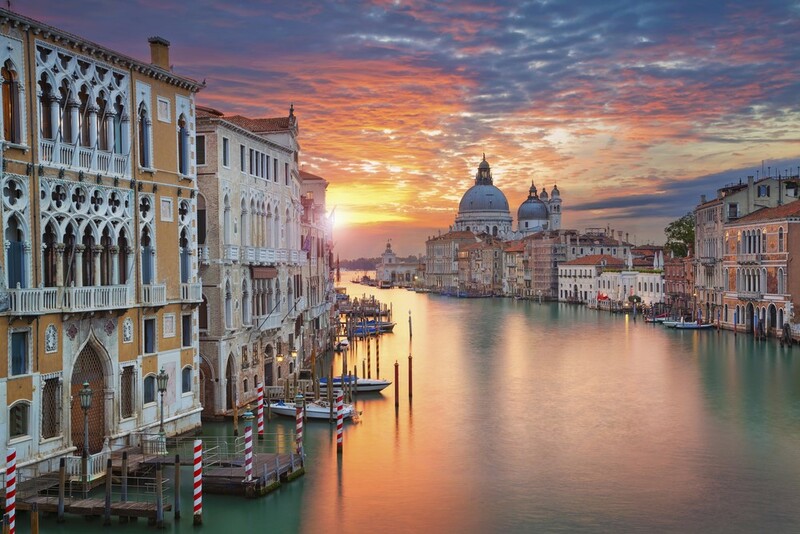 Ride in a gondola or vaporetto in Venice – Next activity on the list of things you should do in Italy takes place in Italy’s star of a destination and one of its busiest cities. Everybody who says that riding on a vaporetto or a gondola is unique and spectacular is a hundred percent right. 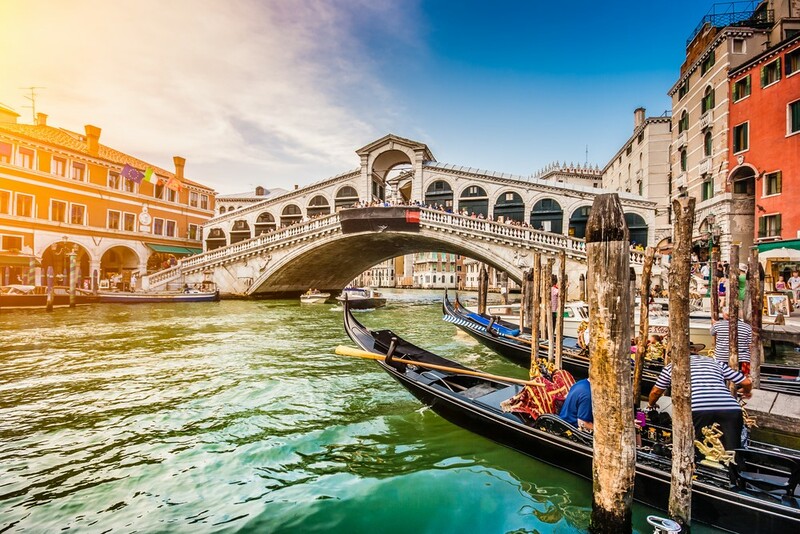 For those who are unfamiliar with these two means of transportation, the gondolas are small boats which are rowed by a gondolier and is considered one of the most romantic things ever. The vaporetto, on the other hand, is basically a water taxi or a water bus in Venice and is expectedly much, much bigger than a gondola. That’s an excellent way to get to know the city and feel its magic that attracts visitors from all over the world. 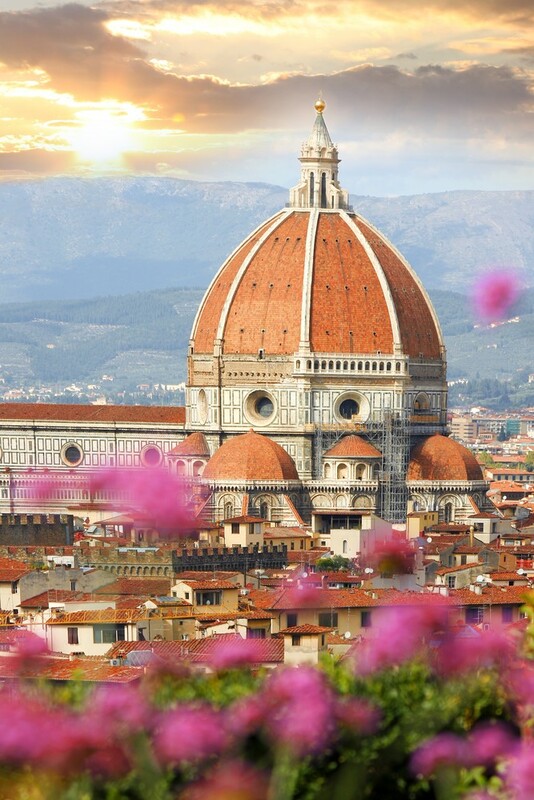 See Duomo in Florence – Santa Maria del Fiore certainly dominates the skyline of Florence. The Duomo simply is the pride of the country, shining with radiance and beauty. This vast Gothic structure has an outstanding facade but a less-decorated interior that will stun you nonetheless. No wonder it took many artists through the ages to build and finish this giant. If you’re in for a mind-blowing view of the city, a vital lesson in engineering and architecture and you aren’t afraid of heights, you should think about climbing to the top of the dome. 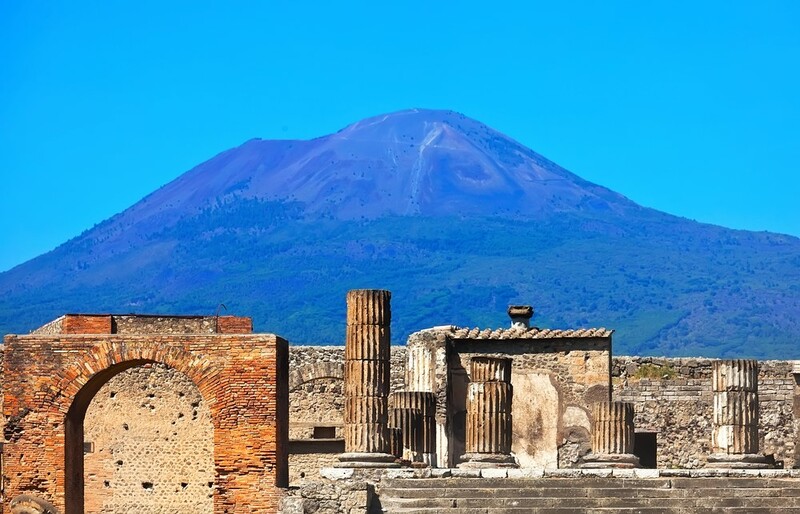 Go back in time with Pompeii – There are some things you should do in Italy at every cost and mustn’t miss. Traveling to Pompeii is one of them. What happened in 79 A.D. will be long remembered as one of the greatest catastrophes in the world. Because of Mount Vesuvius’ eruption, the cities of Pompeii and Herculaneum were turned into ashes. Now Pompeii, frozen in time, is waiting for visitors to experience a creepy sensation as they walk among the ruins of a once spectacular city. 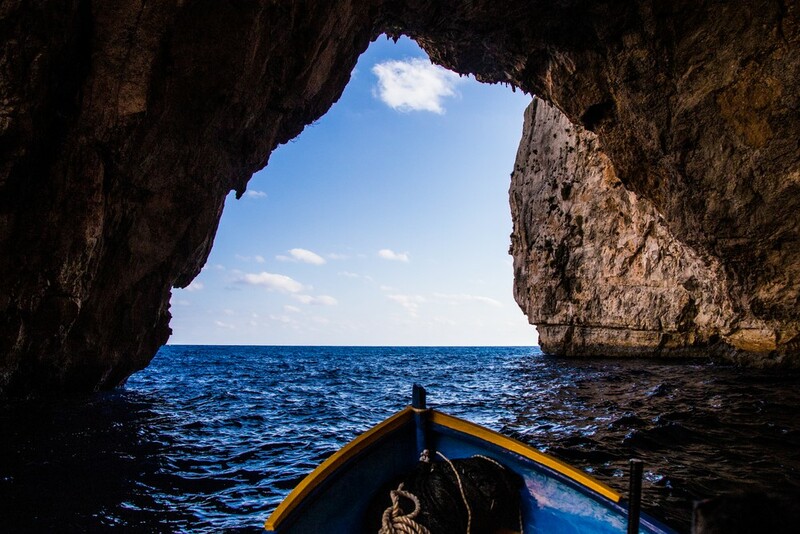 Row inside Blue Grotto – The Italian Grotta Azzurra (Blue Grotto) has become a symbol of Capri and one of the most exciting things you should do in Italy. The cave is special for the fact that a blue neon reflection illuminates it as the sun comes in. It makes everything inside radiate with a beautiful silver color. The average height is around 7 meters, however, it becomes higher and higher in the back of the vault. Just take a boat inside and you definitely won’t regret it. In all of these, you’ll encounter unique sculptures and art from a different time that will wow you. You can even lay your eyes on the famous Last Supper in Milan. Take a walk across Trulli di Alberobello – Prepare to witness your childhood dreams coming true. 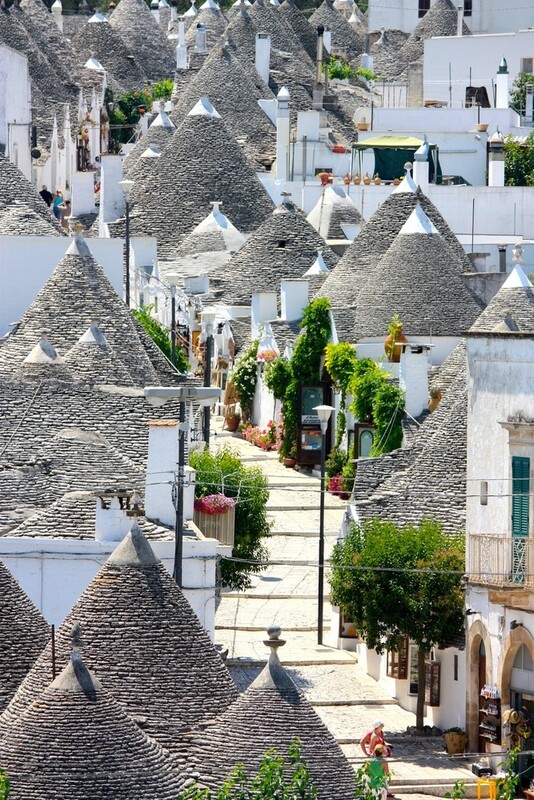 The community of Alberobello offers you a great chance to see the underrated Trulli. They’re limestone houses with gray, cone-like roofs with white-washed facades. Together with the narrow winding streets, they resemble a fairytale village. So if you’re in for an unusual adventure, pass through here. Explore the Valley of the Mills – The Valley of the Mills is maybe one of the most unforgettable things you should do in Italy. Why? It’s because it allows you to peek inside a world without humans. Being a crevasse full of uninhabited buildings blanketed in greenery, this place will give you the thrill you desire. 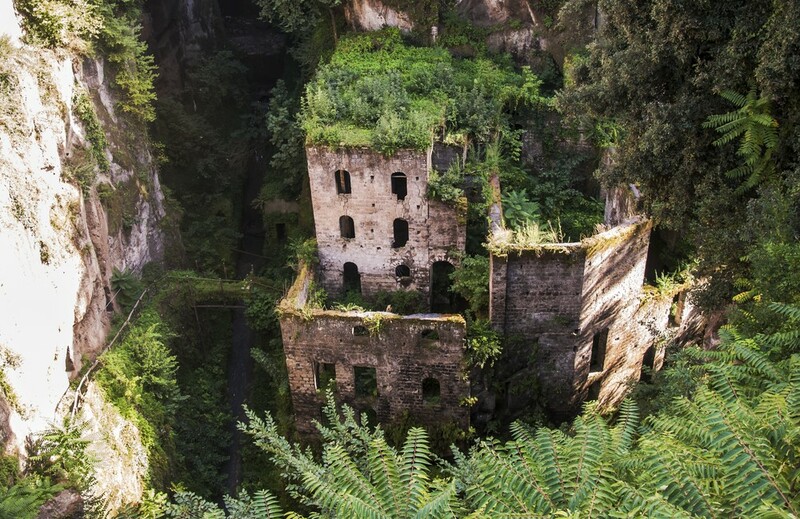 It’s one of the best examples of how nature takes everything back in control after the mills were relocated and abandoned.